Recently, I had to pick up a prescription for my dad. The pharmacist asked for his name and his birth date, both of which I supplied. But because this was a new prescription and had more restrictions on it, I had to give even more information before she would allow me to have it. The pharmacist wasn't being difficult; she was ensuring identity. The "extra" questions were to ensure that I really was representing the person whose prescription I was picking up. The first two questions (name and birth date) were to ensure that she was handing over the correct prescription, rather than one for someone else with the same name. Our ancestors were more than just their names. We need to consider other ways of describing or identifying them. Sometimes when we think about adding more than names and dates, we call it "putting flesh on the bones." While we want to do that to make those ancestors come off the page and turn them into real people, the concept of identity—those other aspects of our ancestor's lives—can play a very practical role in our research. 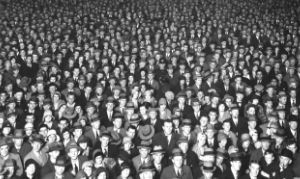 Some ways of describing—of identifying—our ancestors is with information that we're already gathering as a matter of course in our research, including things like date of birth, date of death, where they were born, where they died, where they lived, their spouse's name, their children's names. Those bits of information that you're already gathering can be used to identify someone. For example, what if you're looking at a Civil War record that lists a man with your ancestor's name and it says he's 18. However, your ancestor was 45 at the time. While we certainly have instances of men lying about their age, but it's quite a stretch for a 45-year-old to pass for 18. We can use that age as an identifier and conclude that the record pertains to someone else, not your ancestor. We can also go beyond just those basic biographical facts. Think about your ancestor's occupation. Does the census list your ancestor as a farmer, but you found an obituary for someone who was the president of a bank? It's probably not the same person. Think about religion. If your ancestor was of one faith, would he be buried in the cemetery of a completely different faith? Maybe, maybe not, but it's something that we need to consider. Along with religion, we should also consider ethnicity. These things can also play into what organizations our ancestors joined, what churches or schools they attended, which newspapers their obituaries appeared in. Was the ancestor in the military, and if so, what was his or her military service? What about their financial status? Was he or she a land owner? It's all these different ways that we can describe our ancestors that can help us identify them and make sure that these records that we're finding as part of our research are actually pertaining to our ancestor and not just someone who happens to have the same name. I was doing a little bit of research on a man by the name of Joseph Bowers, who lived for time in Indiana and went out to Colorado. I didn't know exactly when Joseph died, but in some general newspaper research I found an obituary for a Joseph Bowers in the 26 November 1901 Daily Sentinel of Grand Junction, Colorado. 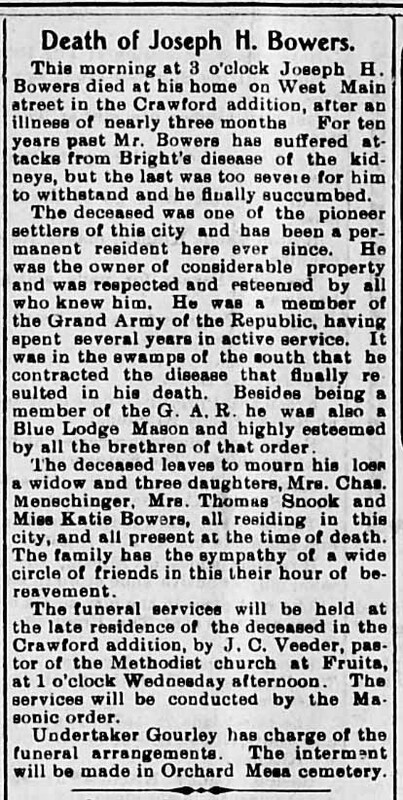 Obituary of Joseph H. Bowers, (Grand Junction, Colorado) Daily Sentinel, Nov. 26, 1901. p. 1. 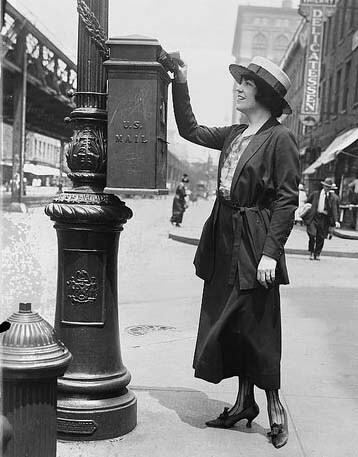 Image courtesy Chronicling America. Since I didn't know when or where Joseph died, just finding this obituary wasn't enough. Fortunately, it listed his daughters, which I knew. That allowed me to confirm that this obituary was for the Joseph Bowers I was looking for. This obituary has lots of identifiers. It tells me the street he lived on, that he was a member of the Grand Army of the Republic, and that he was a Blue Lodge Mason. He might have been a Methodist, considering who held the funeral service. Joseph was buried in Orchard Mesa Cemetery. 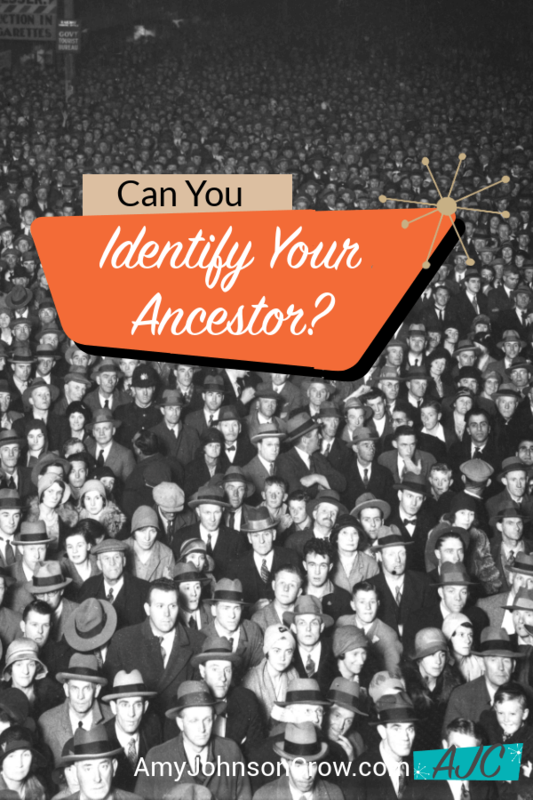 TIP: Any time you find a reference to an ancestor belonging to an organization, find out more about that group. The Grand Army of the Republic was a society for honorably discharged Union veterans. Since Joseph was a GAR member, it stands to reason that he fought in the Civil War and, more specifically, he fought for the Union. The next step was to research his Civil War service. 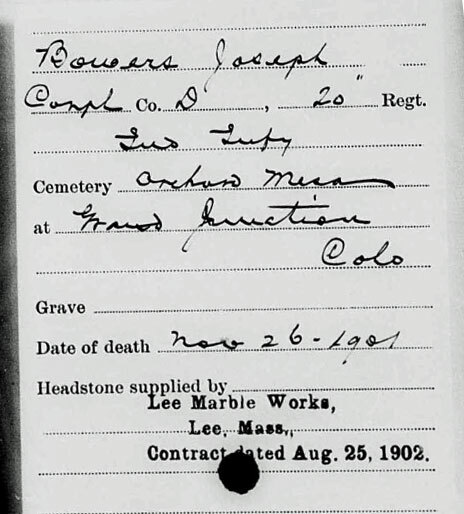 Joseph Bowers application, Card Records of Headstones Provided for Deceased Union Civil War Veterans, ca.1879-ca.1903, National Archives microfilm M1845; image viewed on FamilySearch, "United States Records of Headstones of Deceased Union Veterans, 1879-1903." Notice the date of death on this card (November 26, 1901) and the cemetery (Orchard Mesa). Both of those fit the information given in the obituary. Considering that, I'm confident that this card represents the same Joseph Bowers in the obituary, who is the same Joseph Bowers that I was searching for. Identity has to be more than just a name. It has to include other pieces of information that pertain to that person. Whether it's part of the "vital" information we look for (like births, marriages, and deaths) or "extra" information (like organizations, ethnicity, and military service), we need to keep it in mind. Not only will we have a better picture of our ancestors as people, but it will help us correctly identify them in the records. 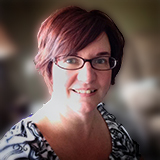 This entry was posted in Podcast by Amy Johnson Crow. Bookmark the permalink. This is a key concept that I try to get across all too briefly when I teach a genealogy class at the library. I appreciate your explanation along with your examples. I’ve saved this in several of my files. It will add to my own explanations and it is deeply appreciated. Thanks for reminding us that “identifying information” is sooooooo important to make sure we have the right ancestor. Always enjoy your podcast!!! In another case involving Italian ancestors, I had to do a bit of digging using the Leeds Method: https://www.danaleeds.com/, My great-aunt’s DNA matches and a few other odds and ends. To make a long story short, I found on one tree a guy named Giovanni Ferriola (Last name similar to mine) and I checked him out. Born in the same town in Italy as my great-aunt. The profile had his death certificate and on it were the names of my 3x great-grandparents on that side of the family. Hard to find much information about my ggg grandfather born about 1760 in Kintyre, Scotland and moved to Princetown, Prince Edward Island, Canada. As I stood in the queue in the doctor’s, a man a few in front asked for his prescription. When asked for his name he said the same name as mine. His address and DoB was checked he went off to the pharmacy. I came to the front of the queue and asked for mine, carefully checking my address and DoB, the receptionist smiled and commented. In the pharmacy later the same thing happened, he was in the queue ahead and so when it came to his turn and his/our name was called, I also went up and introduced myself. We shook hands and agreed we must beware of getting mixed up. The pharmasist checked carefully and gave each the right meds, The doctor’s, the dentists and the optician have all been confused by it. The latter booked the other man and my wife to attend together! Years ago I flew to Edinburgh and at the hotel they had pre-completed the registration form with another person of the same name’s details. I denied being from that address and we started again. When I returned to the airport the next night, at the book-in desk, they couldn’t find my return booking. I had to by another ticket to get home. My suspicions aroused by the hotel card, I rang the other person in my company, who also had my name. I asked if he was booked into the hotel and he said, “No, I only flew up for the day and came back on the 5 p.m plane.” That was, of course, the one I had tried to board and explains the puzzled looks on the booking clerk and her superior’s faces! Someone had thought it was a duplicate and erased one. Thank you. I’ve found the timeline views in my Rootsfinder and Ancestry tree useful as an aid to see the gaps in dates and places that need to be explained and also helpful for looking at when comparing to a record to see if it does fit with the identity I already know. And newspapers are great for helping fill in those gaps and finding the connecting information. I finally found out what happened to a missing daughter because of a brief social column mention of two cousins attending their uncle’s funeral. 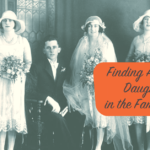 One of the surnames was unfamiliar and finally led to the fact that one of the cousins was the son of that daughter who disappeared from the censuses after age 16. The other surname and the uncle’s name were the anchors to what I did know.